This is an article which was written in 2015. Since then, things have become worse. This is Tweed Council in New South Wales. 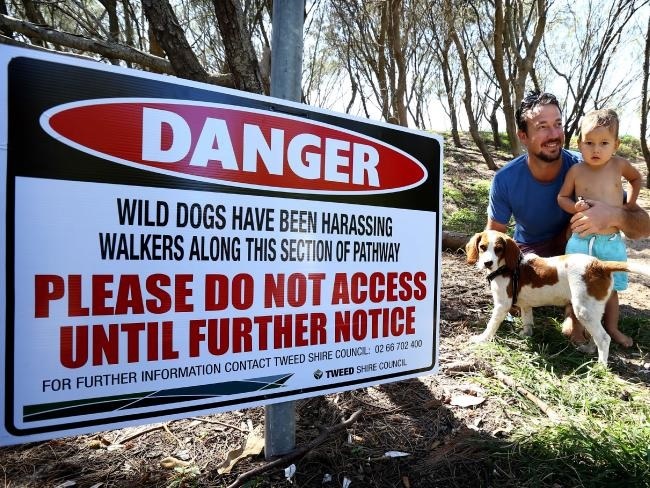 It’s not very far from the Gold Coast where the council warns pet dog owners not to leave their dogs out at night in their own garden – they may get attacked by roaming wild dogs. Barbecue plates have been removed from parks – the risk of disease such as hydatids being transmitted to humans from wild dogs licking the plates is too great. 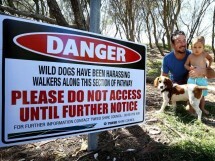 In Western Australia the wild dog problem is on the increase. Recently, the Chittering Landcare Centre hosted two workshops on the emerging issue of wild dogs in peri urban areas. We must all be vigilant and aware. We don’t want these situations to become common place in Western Australia. If you think, even just briefly, that there is a dog which is out of place please contact your local rangers first. Once a sighting has been confirmed we will plot it on Feral Scan, a citizens science website hosted by the Invasive Species Council.